During an event last month in Burbank, the California Association of American Mothers honored Meichelle Arntz for her service to children. Ms. Arntz is the executive director of Angels Foster Care of Santa Barbara, a not-for-profit private foster family agency. The group usually places first-time foster-care children, ranging from infants to 2 years old, and their siblings, up to 5 years old, in homes. 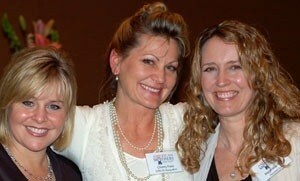 Susan Paulson Funk was named 2010 Santa Barbara Young Mother of the Year. The local resident is the mother of seven children, is active in church service and the school system. She is the president of a group for preteens and teenagers and has volunteered in children’s classroom for the last 15 years.